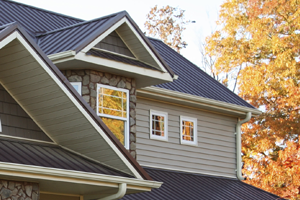 Mid-Michigan Metal Sales is Michigan’s leader in wholesale metal roofing material & supplies. From our Roll Forming Facilities in central Michigan, we are able to produce quality steel roofing at the lowest price guaranteed. Limited Supply Left. Hurry In! Manufacturing Quality Steel Roofing For The Masses! We’re Open to the Public! Do It Yourselfer’s and Contractors welcome. Call Us Today 📞 (800) 615-8416. Metal roofing panels come in both exposed and hidden fastener configurations. We manufacture five panel profiles in-house, which allows us to provide extremely fast service and provide products made from premium quality steel at wholesale pricing. 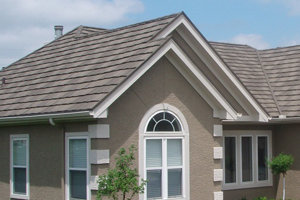 Metal roofing shingles come in variety of shapes, with a wide selection of colors to choose from. They can be made from steel that is stone coated or steel that is painted with multiple colors or just a single color. Learn more by clicking the link below. 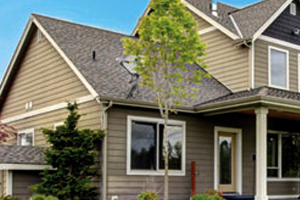 Our sheet metal siding panels are an excellent choice for your home’s siding. It’s strength and durability is unmatched and comes in a variety of textures and colors. Our online store carries a wide variety of tools, supplies, and materials. 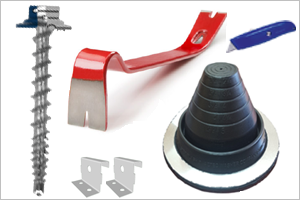 Popular products include boot flashings, metal roofing screws, hand tools, underlayment, and vents. Mid Michigan Metal Sales is the leader in metal roofing materials and wholesale metal roofing material & supplies. We provide only the highest quality steel roofing panels and accessories for experienced roofing specialists and motivated do-it-yourselfers. Shop with us for flat rate shipping & quick shipments! We stock all accessories required to finish any job quickly and correctly. Is Steel better than asphalt? How do I calculate materials? Check out our entire FAQ’s page here. If you don’t see your question, just give us a call and we’ll be happy to discuss your project.